According to a Buzzfeed poll 1.2 million people see this dress as gold and white, while nearly 500 thousand are seeing it as blue and black. The internet is ablaze with argument and theory, some even bringing their own sanity into question. 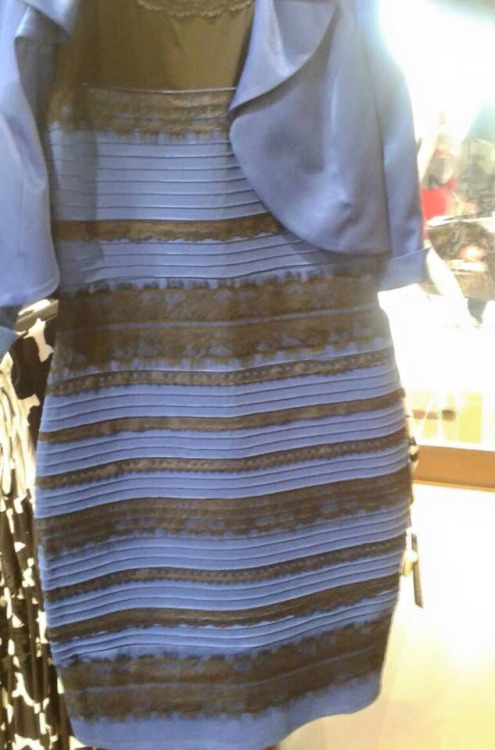 I personally saw the dress as both, first as white and gold with a slow fade to blue and black. What do you see? So how is it that people are so polarized on something we would normally thing to be a simple and definite question? Is it really possible for our perceptions to be so radically different? 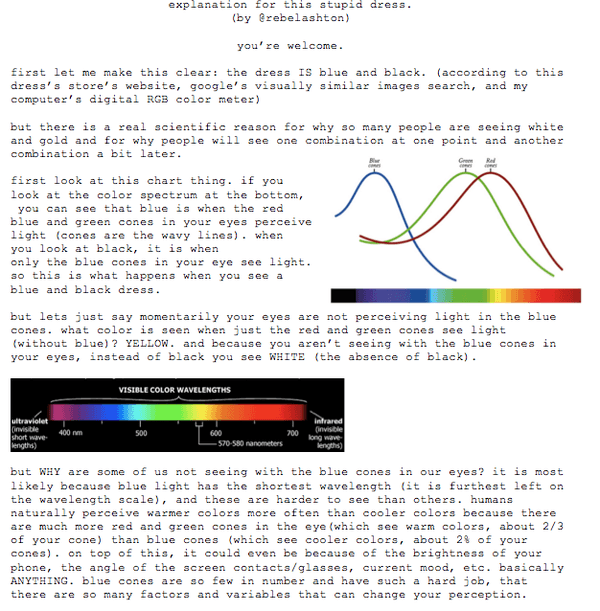 Here are two scientific explanation I found that might shed some light on this fiasco. 2. However, Cedar Riener, associate professor of psychology at Randolph-Macon College says its more likely about how your brain is interpreting the light coming in. “We are always making decisions about the quantity of light that comes into our retina…This light, called luminance, is always a combination of how much light is shining on an object and how much it reflects off of the object’s surface” Riener said. So which color is the dress, and why are people so divided? You tell us! Comment below, we will read every single comment we get.